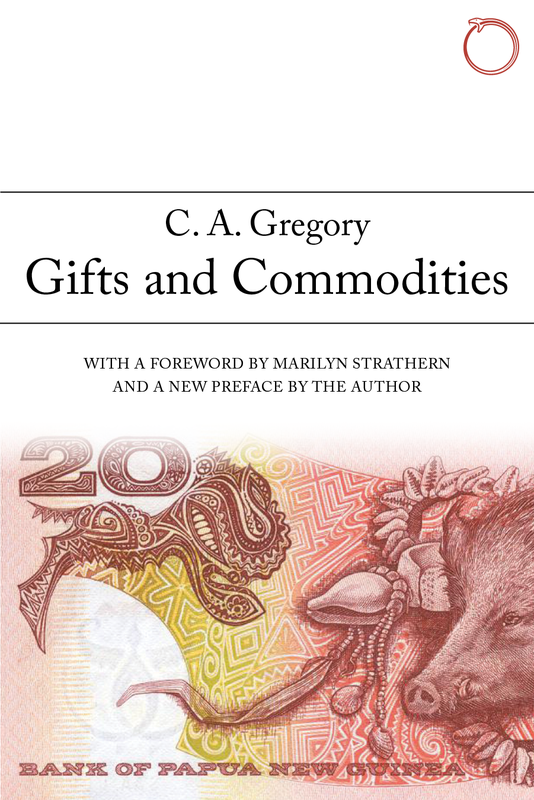 Chris Gregory’s work constitutes probably the single most important body of eco­nomic anthropology produced in the last half century.… This new edition of Gifts and commodities will be remembered as an enduring classic for a very long time to come. Gifts and commodities was a major intervention in studies of Melanesian exchange systems, fundamentally changing our understanding of the transactions themselves, their historical transformations, and the variations in meanings people attached to them.… Long out of print, this beautiful new edition allows this classic text to be a touchstone for a new generation of thinkers in and beyond anthropology. Gifts and commodities is one of only a small handful of books from the latter part of the last century that fundamentally shifted the foundations of anthropology.… [T]he book now returns to wide circulation in this second edition with its thought-provoking new preface. Gregory’s power to shake things up and to lift the bar for anthropological debate in a wide range of areas remains as strong as ever. Carrier, James G. “Gifts and Commodities (Second Edition), by Chris A. Gregory.” Anthropological Forum 26, no. 2 (2016): 197-199. The reappearance of this work is timely, for two reasons. One reason is that, since around 2000, neoclassical economics, with its methodological individualism, has lost much of the authority that it had in the last quarter of the twentieth century. Instead, those concerned with economy are adopting more systemic, macroscopic approaches. Gregory’s book is timely because it begins with a substantial consideration of key elements of neoclassical economics, presented in terms of what Gregory calls ‘economics’, and contrasts them with what is probably the most established systemic approach, political economy. If we want to move forward from recording the form of the world that we see to asking ourselves why it has taken that form, this book offers an inspiring approach. Although he pays his respects to Mauss in constructing this broad category, Gregory’s gift economy has only tenuous links to the ethnography of Maori hau or to ceremonial exchange systems such as kula. A gift economy is one which does not artificially demarcate production from consumption, as the neoclassicals do in their models. Unlike commodity economies, which emphasize production and productive consumption, gift economies (correctly identified by Mauss as an earlier evolutionary stage) privilege consumption and consumptive production. The agents of the gift economy are not driven by profit maximization but pursue self-replacement (social reproduction), exemplified through inter-clan exchanges, and above all through the gift of women in marriage. Echoing Stephen Gudeman’s contemporaneous interest in the cultural construction of material livelihoods, Gregory pays close attention to ethnographic accounts of food and commensality, of fertility, sexuality, and cosmology. He argues that in a gift economy classificatory kin terms are the analogue of prices in a commodity economy, ingeniously linking Morgan to Levi-Strauss and illustrating with a wide range of ethnography in which every continent is represented. Sear, Cynthia. 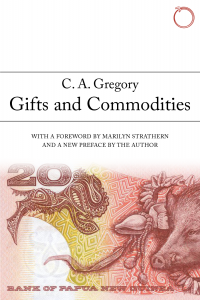 Book Review: Chris Gregory, Gifts and Commodities, 2nd edition. Despite the difficulty the reader may have with this text, the original work remains an inspiration for any student wishing to publish anthropological theory that reaches and engages with debates outside the discipline. As Gregory states, many countries have been ‘developed’ based on economic theories. Economics as a discipline is an, if not the, authoritative voice in domestic and global politics (cf. the 2010 documentary Inside Job). Hence the charge outlined by Gregory, that the economic method is insufficient, has potentially huge ramifications. Yet, as Gregory notes in the preface to the second edition, much of the book’s reception has remained within in the discipline, and to his disappointment it ‘has had no impact on the thinking in the dominant mainstream paradigm: members of the economics discipline have simply ignored it’ (p. x1iv). This new edition, we hope, will maintain and perhaps help to elevate the work’s status as a rigorous counter -argument to theories that remain largely unquestioned in political decision-making. In this reissue of his provocative and widely influential 1982 study, anthropologist Gregory focuses on ethnographic data from Papua New Guinea to challenge economic analyses based on a universalistic and ahistorical ‘theory of goods.’ Instead, he identifies and explains differences between economic systems based on clan-related gift exchange and consumption and those based on class, production, and commodity exchange. In so doing, he disputes the relevance and applicability of neoclassical economic concepts, methods, and theory for the investigation of non-capitalist economic organization and development. Though trained as an economist, Gregory rejects the notion of capitalism as a ‘natural’ form of economic organization. Rather, he follows the models of political economy represented by Quesnay, Smith, and Marx and synthesizes their conceptual foundations with the kinship studies of Morgan, Mauss, and Levi-Strauss to develop a ‘theory of gifts’ in which consumption and reproduction based on social relationships predominate over the role of individualistic production and profit. Although the book is not a revision, the new thirty-three-page preface provides extensive response to works by Appadurai and others and clarifies the major points of Gregory’s analysis. An indispensable part of any collection on economic anthropology or Papua New Guinea. . . . Essential. Concluding, Gregory emphasizes the neoclassical model’s poor explanatory potential — this in my opinion is the text’s strongest contribution and renders it an enduring classic. He argues that the model incorrectly universalizes categories specific to Western capitalism, which have in turn resulted in dismissive explanations of gift exchange as a primitive form of capitalism, hindering the analysis of local realities. Classic. Great to see it back in print.